It is not so much “Houston we have a problem”, but more like “Fonterra we have a problem”. A year after endorsing its capital-raising scheme Trading among Farmers (TAF), some of Fonterra’s farmer shareholders are now balking at the concept. They are questioning whether they will keep 100% ownership and control of the co-op. This dissent is being lead by a South Island shareholder group led by Ashburton farmer Eddie Glass. He voted last year for TAF, but says there is a “hidden agenda” to allow investors a greater say in Fonterra’s governance. Fonterra chairman Henry van der Heyden will not be happy to see the co-op’s second attempt at capital raising from outside sources bite the dust again. Van der Heyden will well remember his board’s first attempt at capital raising, four years ago, which led to widespread shareholder dissent and an embarrassing back-down and scrapping of the proposal by Fonterra. The fallout saw a number of farmer directors’ votes off the board and a much more careful attempt this time. All was going to plan for Fonterra for TAF until the Government put the kibosh on legislation being fast-tracked and passed before this year’s election. This has given shareholders more time to consider the ramifications of the plan. This has eventuated in Glass and his fellow southern dissenters fearing investors holding dividend-bearing non-voting units will end up appointing non-farmer directors, favouring higher dividends at the expense of milk price paid to suppliers. 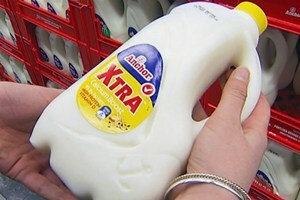 These shareholders believe such investor-friendly directors will lead to tensions between the dividend and milk price. They question how the Fonterra board serve two masters. The southern dissenters have also taken a swipe at the Fonterra Shareholders Council, saying it isn’t “asking the hard questions” on their behalf. They believe the council is nothing other than Fonterra’s lapdog giving farmer shareholders merely a Clayton’s vote set up as a box-ticking exercise. Shareholders Council chairman Simon Couper denies this and claims that “a good process” is in place to review TAF before final approval is given. However, the problem for Couper and van der Heyden is that the growing perception is – as it always has been – that the Shareholders Council is not the watchdog for farmer shareholders it is supposed to be but just a toothless poodle of the Fonterra Board. Unfortunately, these latest problems have left Fonterra’s latest capital raising efforts in trouble and farmers questioning the real motives of the co-op and its own shareholder watchdog. Both are now looking very shaky. Surprise, surprise; the Greens launch its new, clean river initiative and once-again farmers are at the brunt of the party’s animosity and revenue gathering plans. It now wants to charge farmers for the water they use for irrigation as part of its new plan to clean up New Zealand’s waterways. Farmers would be charged 10 cents for every 1000 litres of water. The plan also includes setting minimum standards for water quality. As Federated Farmers water spokesman Ian Mackenzie says irrigation is not the cause of water quality problems. He also makes an excellent point about the stupidity of the Green’s policy and the idea that taxing Canterbury farmers to sort out problems in the Manawatu River as a rather strange concept. Mind you, probably no stranger or nuttier than most Green Party ideas. In fact this is highlighted by the fact the Greens’ new clean water policy was launched with a vegetarian barbeque, live music and face painting – a real circus if there was ever one! The Greens say the government’s current policy on freshwater management is too weak. It will also require stock exclusion from rivers and lakes within five years. Planting riverbanks and excluding stock from waterways has been shown to significantly improve water quality within three years, the Greens say. Yes, that is right and you know how we all know this? Farmers have been planting riparian strips around rivers and lakes bordering their farms for years – off their own bat and or in conjunction with local councils. 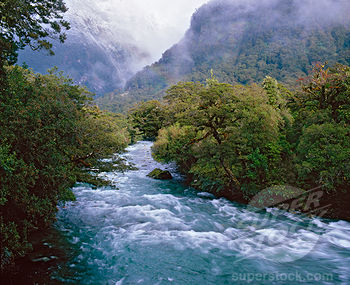 The new river policy is one of the Greens’ three election priorities and comes on the back of its claims that more than half of New Zealand’s rivers are unsafe for swimming. Funny, as Norman and the Greens tend to spend most of their time bagging the dairy industry and farming in general and now its latest policy initiative wants to tax farmers more and limit where they can graze stock. That’s hardly a recipe to encourage more growth in our most productive sector and putting a price on water used for irrigation is not the way to go to improve water quality. Unfortunately, the Greens latest policy initiative is a case of different day, same crap – its blames all water quality problems in this country on farming and then wants to impose a tax to fix it. That is not an answer it is ideology and bad ideology at that! While most reports on the agri-sector concentrate on the high-performing dairy industry; latest figures show the country’s red meat producers are also doing their bit. According to the latest export figures; earnings for New Zealand sheep and beef totalled $5.8 billion last year – an increase of 9 per cent. This increase in red meat export earnings occurred despite Beef + Lamb New Zealand’s annual stock survey showing sheep numbers down 2.1 per cent to 31.9 million. Meanwhile, the beef herd has stayed almost static at 3.9 million in the year to June 30. Davison says tight global supplies of lamb and sheep meat has seen world market prices lift significantly. World market lamb prices were also up significantly on the previous year but the lamb supply from New Zealand remained constrained from the previous spring’s poor lamb crop. In the year ended June 30, lamb generated $2.7 billion, which is 3.4 per cent ahead of last year but from reduced export volumes. “The decline in the ewe flock has ensured mutton exports receipts were the standout story – up 35 per cent to $580m with the volume shipped up 15 per cent, Davison says. Beef export receipts at $2.5b were up 14 per cent despite the volume shipped decreasing three per cent. Meantime, early expectations are for this spring’s lamb crop to be up 1.4m on last year’s poor result to 26.2m lambs – yielding 20.1m lambs for export. This is more proof that the red meat and white gold of New Zealand’s agricultural sector is providing the much-needed black ink for the country’s economy and the folly of claims made by politicians and others a few years back that our agri-sector was a sunset industry. In a clear case of politics winning over common sense the Government now says it will back a Select Committee inquiry into the price of milk on the local market. With political rivals Labour and Greens pushing for such a probe after the Commerce Commission decided not to stage a formal investigation into the price of milk last week , John Key has sniffed the political wind and now says the Cabinet support an inquiry. It will now be discussed by the National caucus tomorrow and if – or more correctly, when – it gains the support from the caucus then it could be considered by the Commerce Select Committee as early as Thursday. Despite previously defending the price of milk and saying he suspects New Zealand consumers are paying a fair price, Key has now punted for a select committee inquiry in an effort to take the political heat out of the issue. However, the PM’s change of heart follows on from Agriculture Minister David Carter stance saying there could be “some value” in an inquiry taking place. It’s clear both Carter and Key do not believe domestic dairy consumers are being ripped off. However, they also both know a select committee inquiry will take the issue of high local milk prices off the agenda until after November’s election. It is smart politics, but rather cynical. While people may think dairy farmers are creaming at present – with the average price for two litres of standard milk at $3.68 – it is worth remembering they actually only receive around $1.30 for every two litre bottle of milk sold. I don’t believe Fonterra is ripping off New Zealanders over the price of milk and I am disappointed Key and Co have kicked for touch on this subject going for an inquiry instead of backing local farmers. However, I do agree with the PM that “daylight is the best disinfectant” and the select committee and submission process will shine light on the issue and once and for all show New Zealand consumers that are actually paying fair prices for dairy products. Despite all the claims and silly political games surrounding domestic milk prices the much anticipated report by the Commerce Commission has found retail and wholesale markets are competitive enough and do not require price controls. Unsurprisingly, in a bid to make political capital, Opposition leader Phil Goff says the commission’s decision not to investigate milk prices further was “hugely disappointing”. He says Labour will be pushing for a select committee inquiry. “We need to know why the price of milk in New Zealand is so high when we’re the country that produces it.” Which probably says more about Labour’s and the former international trade Minister’s lack of economic nous – than its nutty no GST on fresh fruit policy – when failing to acknowledge the impact international supply and demand has on local dairy prices. 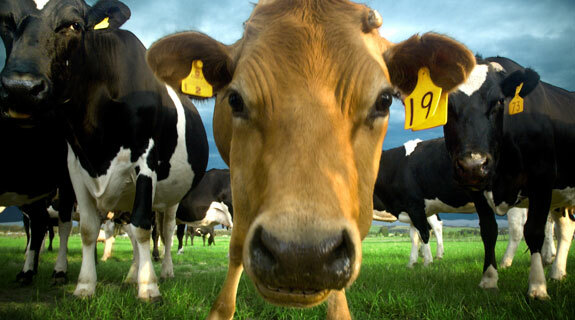 And, speaking of nuts, Green Party MP Sue Kedgely claims the Commerce Commission had “passed the buck” and it was up to Parliament to resolve “the issue of the virtual monopoly Fonterra exercises in the domestic milk market and the effect this has on milk prices”. Meanwhile back on planet earth, the commission’s report – sparked by skyrocketing domestic milk prices and similar political grandstanding earlier this year – ruled out price controls, saying enough rivalry exists between the two main supermarket chains while for wholesale milk Fonterra and Goodman Fielder competed for supplies. However the commission said there was “little or no competition” in the market for supplying milk to processors which is dominated by Fonterra. However, the political games have not ended with Agriculture Minister David Carter – with a clear eye on the upcoming election – saying he cannot assure New Zealanders they are not paying too much for milk despite the Commerce Commission’s report. This followed Prime Minister John Key’s similar utterance in the aftermath of the commission releasing its decision. It’s obvious that Carter and Key are not immune to the same kind of grandstanding over domestic dairy prices that the increasingly irrelevant and desperate Goff and ever irrational Kedgely are. Politics aside, I tend to agree with Fonterra which claims its competitors are behind the calls for a price control inquiry. Chief financial officer Jonathon Mason says they want to force down the amount they have to pay New Zealand farmers for raw milk. He was quick to put the boot into foreign owned-rivals like OCC and Synlait who led the calls for an inquiry. It is just a pity the Fonterra man is not as honest and blunt with all those politicians currently clambering over local dairy prices in an effort to make themselves more electorally palatable to voters.